The Women of Color Zine group would love to speak/lead a workshop/table at your community event, school, or symposium. The Women of Color Zine group is made up of DIY geniuses, writers/artists, small business owners and entrepreneurs, and activists. We have over 20 years combined experience of community engagement. If you are interested in having us participate at your event, we ask for at least 2-4 weeks advance notice. If there is anything in particular you want us to focus on (e.g. women of color comics/drawings), please let us know. We are open to speaking for free/small compensation (e.g. meals) for grassroots/women of color lead organizations and willing to negotiate speaking fees/travel expenses for larger institutions. 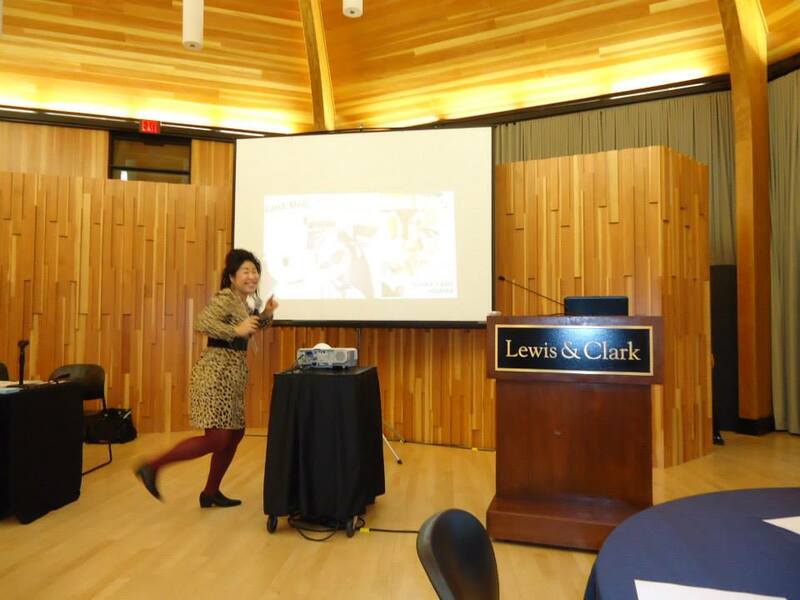 Ann a’misa Chiu leads a workshop at Lewis & Clark’s Gender Symposium 2014.